“Science Communication is important because it equips individuals to break down, critique and interpret scientific information generated by sensationalized news sources, and make their own informed decisions. 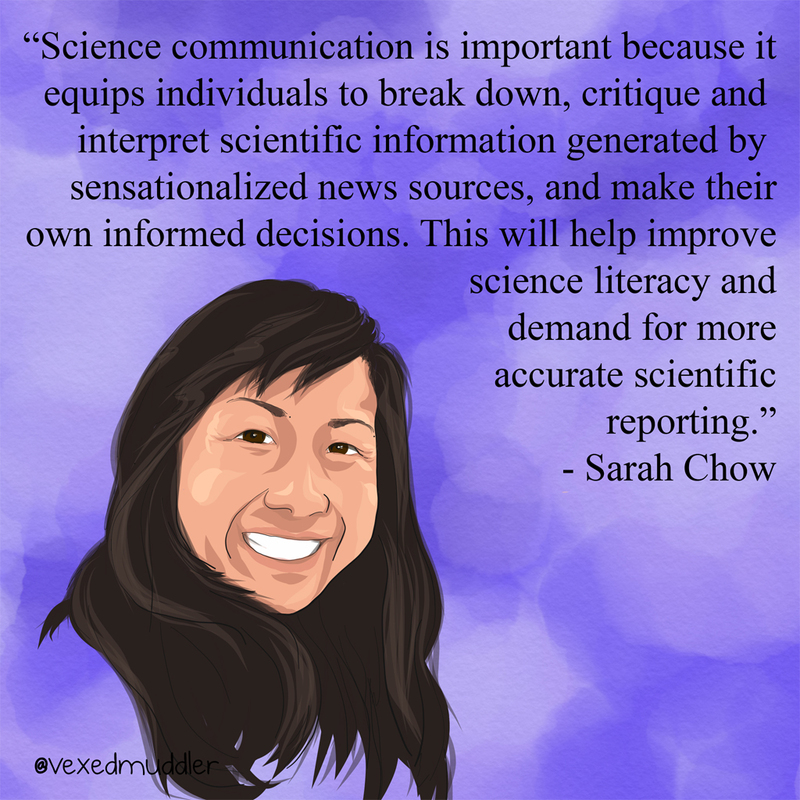 This will help improve science literacy and demand for more accurate scientific reporting.” – Sarah Chow, Story editor for broadcast media. Originally posted on September 14, 2016.